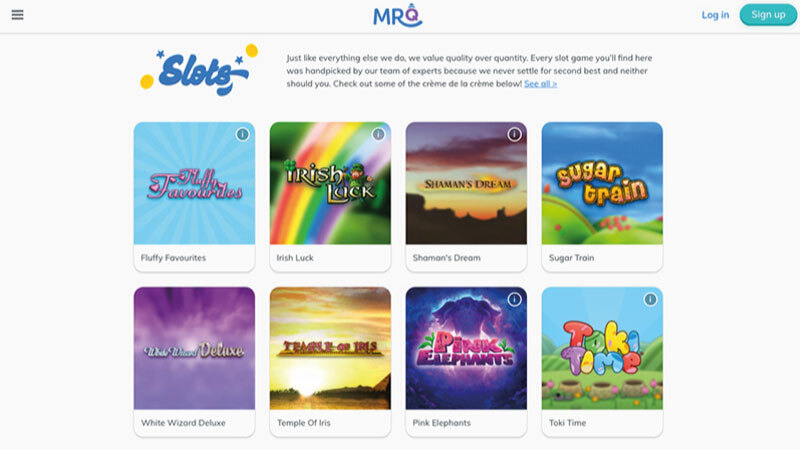 MrQ is a brand new online casino that intends to shake things up a bit and make a difference in the gambling community. How you ask? Well, in a variety of ways but the most interesting is the fact that there a no wagering requirements. This is certainly an attractive feature and a big reason as to why this casino could be the next big thing and start a new trend. There’s a lot more needed though to become a successful and appealing online casino, so let’s see how MrQ fairs in every aspect that matters. The MrQ casino website is pretty simple. They’ve done away with flashy animations and bright lights that resemble Las Vegas and the likes, instead opting for a minimalist style. There are pros and cons to this. On the plus side, it’s a very fast website that’s smooth when scrolling and easy to navigate. We’ve certainly seen casinos offer too much in too small a space creating an unpleasant website. On the other hand, MrQ doesn’t really look that exciting, in fact, I think they’ve gone a bit too basic here. The white background, simple menu and basic titles don’t really grab your attention and it just doesn’t feel like a casino at all. I’m all for keeping things clean and simple, but I think they’ve gone a bit too far here. This is really where MrQ stands out and for a few reasons. The first, and probably most interesting, is that there are no wagering requirements. This means you’ll be able to keep more of the winnings than you expect and really sets the casino apart. I hope this starts to become more popular with other casinos too. Then there are the sign-up offers. Probably the most impressive of these is really only for Bingo players who can get access to free bingo for 24 hours without making a single deposit – not too shabby. 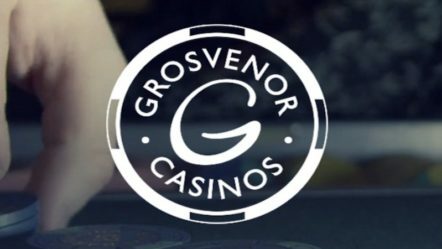 There are some other offers as well including free spins for doing things like signing up and making a £10 deposit. MrQ online casino is primarily a bingo casino and in that regard it should be appealing to many players with a variety of 75 ball and 90 games and the aforementioned sign-up offers. However, they do also have a slots available at their site, so are these any good? Well, it’s fair to say most casinos have a much larger variety of games. MrQ work with Thunderkick and Eyecon to give you slots like Babushkas and Flamebusters. These aren’t the most popular slots in the world, nor the best, and not having any of the big players like Netent, SG and others will probably put many players off. It’s nice to have a few slots on the side, but people will really only be signing up at MrQ for the bingo. Perhaps in the future they’ll start to work with the bigger names, but for now that side of the casino just isn’t very appealing. Not to mention there are no table games. There are a few ways you can contact MrQ should you ever have an issue. You of course have the option to phone in (between 8:30am and 5:30pm on weekdays only) or email, plus you can live chat which may be quicker. Live chat is also only available during phone-in hours though, so outside of these you will have to wait. They do have a pretty good FAQ page though which may help. MrQ casino is a brand new online casino and that has to be taken into account when reading this review. All casinos take time to grow and improve, but a good foundation is required to do this. MrQ have set out to become a big player in the Bingo world by offering a good selection of games with no wagering requirements. This is really interesting and gives a lot of players reason to check them out. Especially when you couple that with the no deposit required sign-up bonus; you really do have nothing to lose. Unfortunately in terms of the slots or table games there really isn’t much to be said. If you’re a big fan of games from Thunderkick you might find some appeal in the free spins, but there are many better casinos out there in this regard. Like I say, they are a very new casino so time will tell what they do with this side of their website, but for now it’s just not worth it. Overall I like the idea behind MrQ and see a lot of potential, but they have a lot to do if they want to become truly successful.